Whether you’re thinking about visiting Norway for a short trip, travelling to the country on business or planning to relocate, it’s essential to grasp the basics of the local culture, values and practices before you arrive. This will show native Norwegians that you respect their culture and way of life enough to have taken time to research it. It will also make transition into a new way of life much easier. An average of 14 people per square kilometre makes Norway one of the most scarcely populated countries in the world. The majority of residents live in the southern half of the country. Norway has a constitutional monarchy and King Harald V is the current reigning monarch. While the Royal Family has limited powers, there is a deep respect for them among the general population. There is also a great sense of national pride among Norwegians, with the National Holiday on 17 May one of the most highly anticipated annual celebrations. 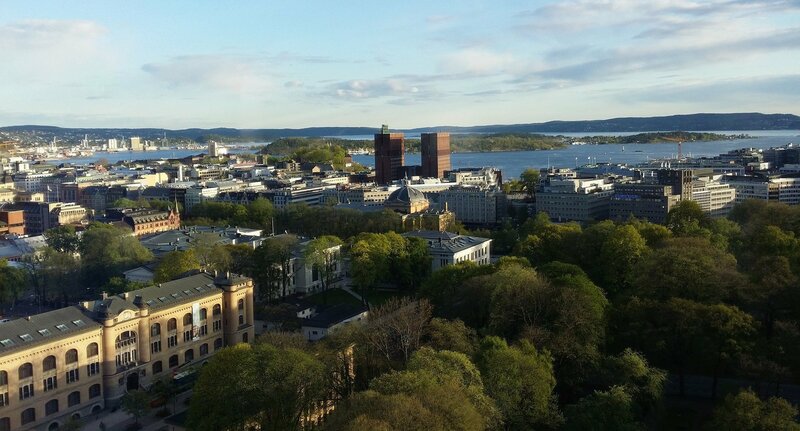 The capital city of Oslo is home to more than half a million residents and is considered an important trading and maritime centre. Norway is an extremely open and accepting country with a highly tolerant attitude towards other cultures and nationalities as well as excellent gender equality and LGBT rights. Religion does not play an overt role in everyday life although, more than half the population are registered at baptism as being members of the Church of Norway, which is the official state religion. Around 95% of the population speak Norwegian as their first language. Norwegian has two written forms – Bokmål and Nynorsk – both of which are recognised as official languages. The vast majority of people (around 80–85%) use Bokmål. There are also a number of dialects throughout the country that vary slightly from the traditional language. Around 0.2% of the population speak Finnish. The Norwegian language is very similar to Swedish and Danish. Children of expats are encouraged to learn Norwegian and the government requires any applicant for Norwegian citizenship to either be proficient in Norwegian, one of the Sami languages or another of the Scandinavian languages, or provide proof of having attended Norwegian classes for a minimum of 300 hours. English is the primary foreign language taught in Norwegian schools. The majority of the population is fairly fluent, although some older people have limited proficiency. 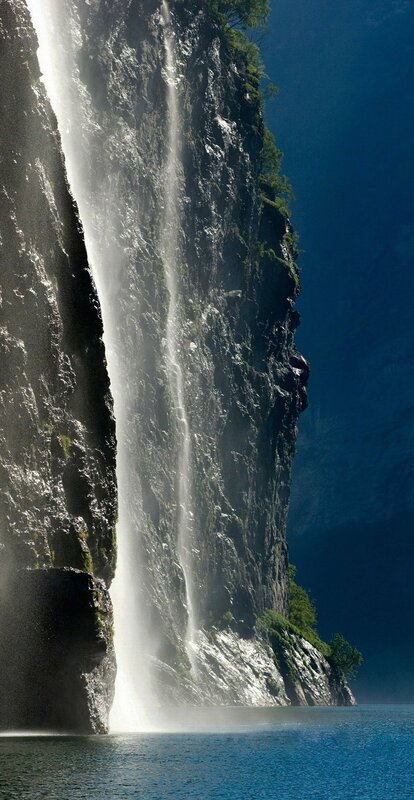 Norway is renowned for its exceptional natural beauty. Its coastline stretches more than 64,000 miles and the region boasts around 240,000 islands. Thanks to a public rights law named allemannsrett (all men’s rights), residents are free to roam through all uncultivated land. This makes for incredible outdoor sports opportunities and ventures into landscapes seemingly untouched by modern life. Along with hundreds of thousands of lakes and fjords, ski runs, sailing, ferrying or spending the weekend staying in a lakeside fisherman’s cabin, the country has boundless outdoor opportunities. Orienteering is very popular among the local people and a good way to assimilate with them. The Norwegian lifestyle is extremely healthy and life expectancy is second best in the world, just behind Japan. It’s not just the landscapes that are green. The government has strict environmental commitments with a pledge to reduce greenhouse gases by 40% before 2030. Plans are currently being put in place to make downtown Oslo entirely pedestrianised, cutting car pollution significantly. Norway has a strictly egalitarian culture within which Jante Law is a pillar. According to Jante Law, values of humility, respect, simplicity and equality are a priority. As such, Norwegian people are not vocal about their own achievements (wealth, intelligence, material goods) and are generally unimpressed by those who show off about such things. People are valued for their honesty, respect and goodness without any need to judge others on their professional standing. It is markedly different to British culture, whereby a person’s professional role is often used to determine opinions and make judgements. For anyone doing business in Norway, there is a distinct professional style. The World Bank’s Ease of Doing Business survey ranks Norway 9th out of 189 countries for 2016 and the values established in the general culture overlap into the business relationship, whereby Norwegians respect openness, honesty and sincerity. Relationships are purely transactional and you must be willing to deal with the slow burn, as Norwegians will take their time before making any business decision. Norwegians will only do business with those they trust and transparency is crucial in order to establish this connection. You must be willing and open to discuss all aspects of yourself, your colleagues and your business with a potential client. Norwegians appreciate those who are reliable, stick to deadlines and honour every meeting with prior research, extensive pre-prep and timely communication. If you are late, unreliable or display any other lack of professionalism, this will likely mean that trust is broken and the relationship is over. Remember that if you initiate a business lunch, dinner or drinks, then you will be expected to cover the bill. Business communication is direct with no excess emotion, small talk, beating around the bush or flamboyant body language. When it comes to face-to-face negotiation, employ a respectful attitude from start to finish. Request a meeting well in advance and be flexible around your client’s availability. Avoid planning meetings during high summer (July and August), Christmas or Easter when many people will be taking their holidays. Be open and honest about your expectations and do not pressure your client into making a decision, as local decision-making models are based on consensus and compromise. Norwegians also appreciate facts and figures to back up any material. Bartering and discounts are uncommon. Therefore a realistic, solid and competitive price quote at the outset is likely to be more successful. Norwegians very much work to live and there is a healthy work-life balance. A typical working week will not exceed 37 hours and the office workday usually lasts from 8-4 with an early finish on Fridays. It is extremely difficult for your employer to let you go after the probation period. You will also have a healthy annual leave allowance. It is frowned upon – and sometimes forbidden – not to take your holiday time. Hierarchy in the workplace is usually flat, as equality and democracy are valued. An informal leadership style co-exists with a healthy balance between employee freedom and responsibility. The office environment is usually casual with a first name basis and informal dress code, with the exception of high-end banking and finance environments. Norway is a consistent feature in prestigious world rankings and was named the best place to live in in the world by the United Nation’s Annual Human Development Report. It also came second in the UN’s World Happiness Report. It is renowned for its excellent public healthcare system and employee rights, among other key points. Family is of the utmost importance and most employment contracts will reflect these values with excellent maternity and paternity leave policies. New mums are granted 12 months’ paid leave at 80% (or 10 months at 100%) and subsidised childcare. It’s a wonderful place for children as they grow up, too, as access to higher education is considered fundamental for all and the majority of Norwegian universities and state university colleges do not charge tuition fees, even to foreign students. Norway has one of the highest adult literacy rates in the world. It is worth noting that marriage is not considered a prerequisite to starting a family and many couples of all ages live together without getting married first. Healthcare is unparalleled and the government healthcare spend (approx. £8000 per head annually) is the highest in the world. You have a free choice of provider and all residents are members of the Norwegian National Insurance scheme with the right to access healthcare services. While treatment is not free, there is an annual cap on how much any individual has to pay for healthcare. When it comes to accommodation, if you are moving to one of the main cities such as Oslo, Bergen or Trondheim, homes are likely to be smaller than you are used to. Norwegian accommodation is cosy but functional so keep an open mind. The cost of living is high and taxes are high but salaries are extremely competitive and the quality of life is exceptional. Norway is one of the most expensive countries in the world to live in but the benefits are unparalleled. Public transport in Norway is reliable and easy to use. A comprehensive network of long-distance buses, trains and ferry lines cover the country, while the major cities have good bus, metro and tram routes. The Hurtigruten follows the coastline from north to south while regular ferries take passengers from Oslo to Denmark, Sweden, and Germany. The train network from Oslo Sentrastasjon (Central Station) covers domestic routes across the country and international travel to Gothenburg, Stockholm and Malmö. Oslo’s central bus station operates express and international busses across most of Europe. If you are considering buying your own car, it’s essential to learn about driving in the country’s harsh icy and snowy winter conditions and mountainous terrain. Expats can use their own license for a year before exchanging it for a Norwegian one. You will be required to take a driving test. When making friends in a new country, there are certain ways to abide by. When you are invited for a meal at a Norwegian home, you must always be punctual. It is also customary to bring a gift such as flowers, a houseplant, chocolates or wine. Do not bring an even numbers of flowers, as this is considered disrespectful according to ancient tradition. Norwegians keep work and play separate, so avoid talking about business matters in a social setting. Table manners are formal and almost all food is eaten with a knife and fork. Do not begin eating until the hostess starts and if you wish to make a toast, avoid doing so using beer. And always reciprocate any invitation! It is good manners and a fast track to solidifying friendships. We can help with any business translation or language translation needs you may have if you’re doing business in Norway, or are planning to relocate. Our team of experienced Norwegian translators are on hand to help. Get in touch today to find out more and get a quote.